TRENTON, N.J. -- New Jersey Gov. 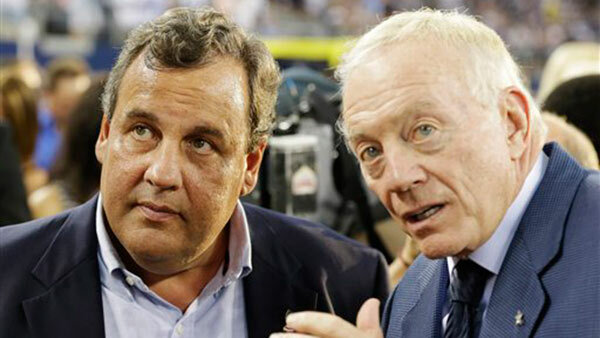 Chris Christie is heading to Ohio to celebrate Dallas Cowboys owner Jerry Jones' entry into the NFL Hall of Fame. Christie is scheduled to be in Canton on Friday and Saturday to see Jones' induction. Christie is a lifelong Cowboys fan despite most in New Jersey being fans of two of the Cowboys' biggest rivals: the New York Giants and Philadelphia Eagles.